How can a hypervisor be secured and monitored? 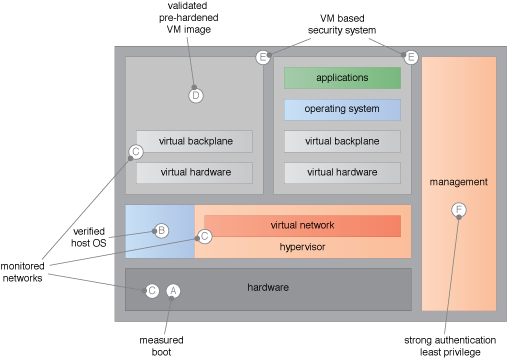 The hypervisor is vulnerable to threats from multiple vectors and, if compromised, could attack any other component that is shared by the same hypervisor. A system is established whereby mitigations are implemented from the silicon up the stack to protect against hypervisor attack vectors. A hardened hypervisor is installed and verified using a trusted platform and mitigations are added to protect against vulnerabilities. Examples of hypervisor threat mitigations.